Frame a single block or group of blocks. The perfect finish for your birth flowers block! The birth flowers border pattern has been designed with modular units that can be combined to surround a single block or group of blocks. The fabric required will vary depending on how many units are being used. 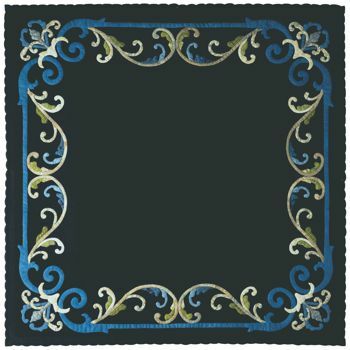 The chart below provides fabric requirements for a single block border or a twelve-block border with sashing and cornerstones. 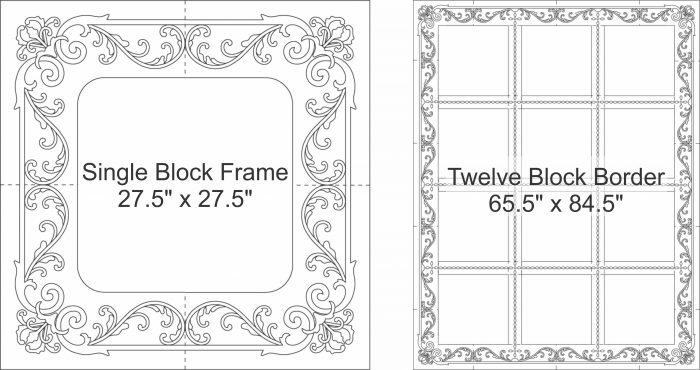 The pattern can also be used to create a frame for the birth flower blocks. A frame is a quilted border with a pocket sewn on the back so that birth flower blocks can be switched in and out from month to month.